E-Lengua is an EU-funded project intended to improve curricular design for language teaching in Europe through innovations in methodology and in a synergic way. Each member of the E-Lengua consortium, coordinated by the Universidad de Salamanca, is responsible for a specific ICT area, focusing on a particular language. 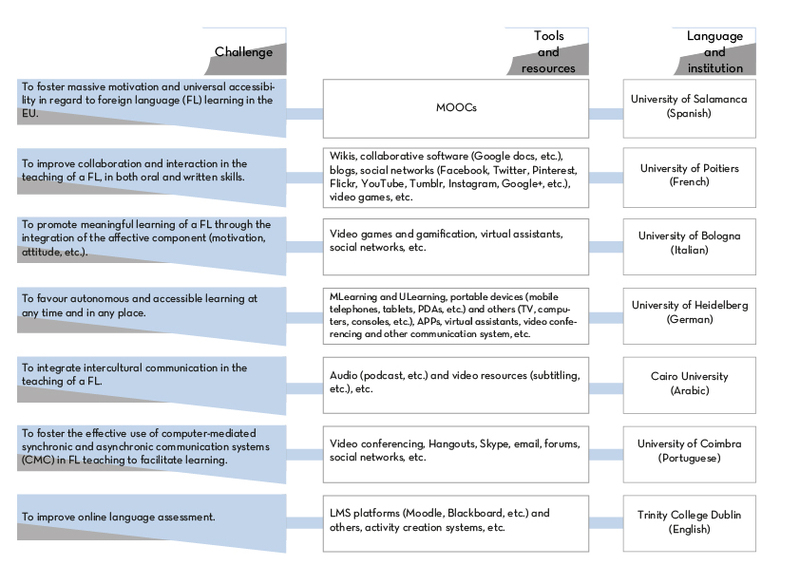 Results obtained by each consortium member are suitable to be applied to all languages covered by this project (7 universities>7 languages> 7 challenges > 7 tools).